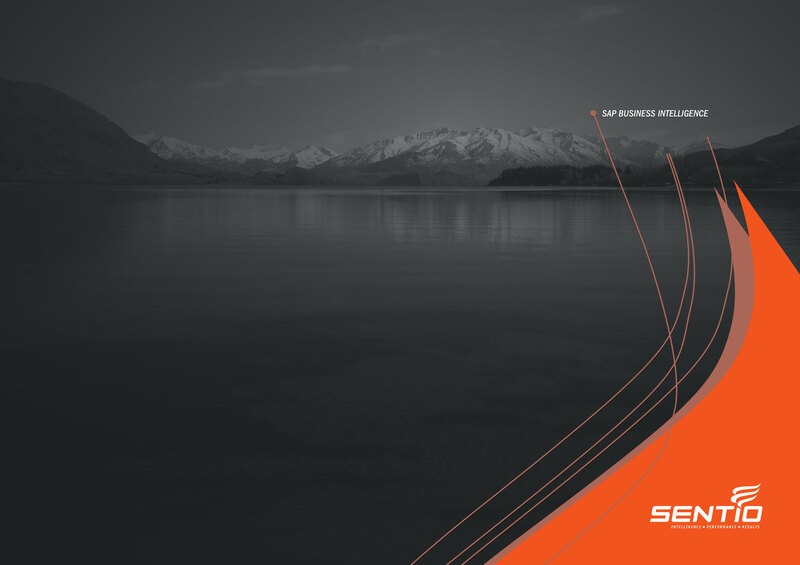 Company overview brochure to highlight Sentio's services and areas of expertise. 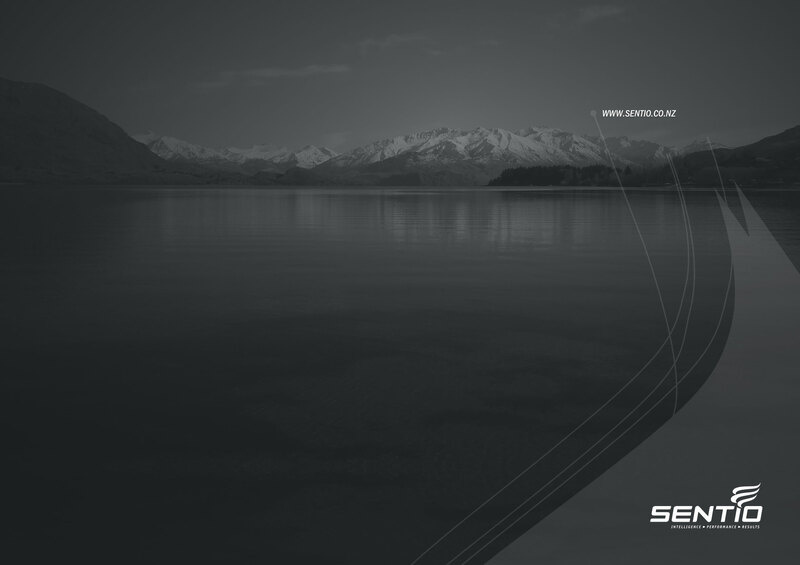 Sentio’s a New Zealand based SAP consulting company so I wanted to use NZ scenery instead of typical corporate stock images of people on phones or shaking hands. Subtle gradients and lines help direct the viewer’s eye to various elements on the page. 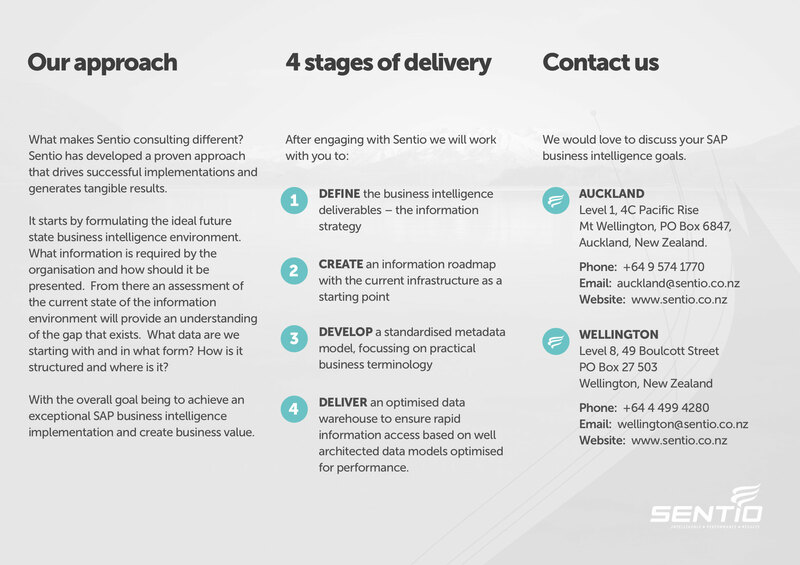 A brief introduction to Sentio (a data warehousing and business intelligence company) and how they can help grow your businesses. 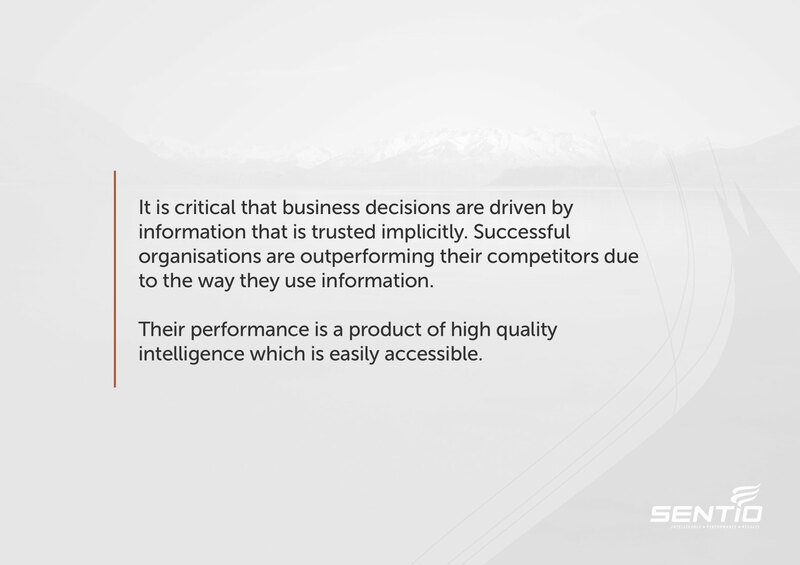 By leveraging data you can make decisions based on numbers rather than assumptions. An explanation of the company’s approach, their process and calls to action for their Wellington/Auckland offices. By clearly outlining their stages of delivery and process this helps explain how projects go from business requirements to production. A simple call to action/closing statement – for more information visit the website. Simple and effective re-use of elements throughout the document help to create a consistent and easy to follow presentation.